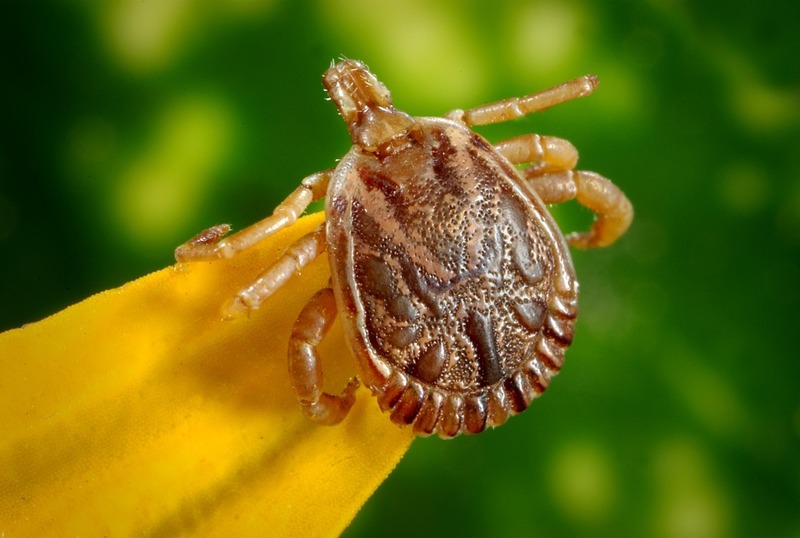 Arklatex Lyme Disease Prevention & Support | Dedicated to raising awareness of ALL tick borne diseases, offering support, and providing referrals for information, research, and healthcare choices. Twenty-eight people claim in a federal antitrust lawsuit that Lyme disease victims are being forced to pay hundreds of thousands of dollars for treatment because health insurers are denying coverage with bogus guidelines established by their paid consultants, who falsely say the disease can always be cured with a month of antibiotics. A federal lawsuit that may just validate the pain of thousands of Lyme disease patients – and the flaws in prevailing tests and treatments — is moving ahead in a Texas courthouse, despite attempts to kill it. The lawsuit’s progress is a big development in the decades-old struggle of patients whose post-treatment conditions – involving myriad neurological, cognitive, musculoskeletal, and cardiac symptoms — have long been misdiagnosed and minimized. Patients have hence had to seek out-of-pocket treatment from physicians who risk their licenses providing it. 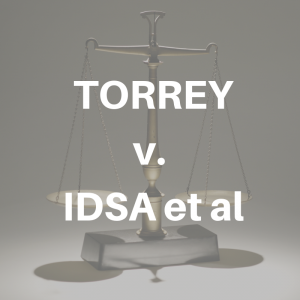 The suit, Torrey v. Infectious Diseases Society of America et al, aims to change that, and, make no mistake, is a serious challenge to the Lyme status quo (see my article from 2017). Beyond that A-list of Lyme actors, the lawsuit also accuses eight insurers of conspiring with the IDSA and the Lyme architects to advance treatment protocols that limited care options to the 25 named plaintiffs, two deceased, for whom the protocols did not work. The companies are Blue Cross And Blue Shield Association, Anthem, Inc., Blue Cross And Blue Shield Of Texas, Aetna Inc., Cigna Corporation, Kaiser Permanente, Inc., United Healthcare Services, Inc., and Unitedhealth Group Incorporated. This is why our disease is being denied & we can’t get any help!! We can’t sit back and do nothing! Time to fight for our lives and the truth!! CNN Fox News Usdoj.gov time to investigate!! “Hi everyone!! Tony & Frances here- we are the producers of The Monster Inside Me, Lyme documentary, along with Paul Cho (The Angriest Man in Brooklyn and Tallulah). Our dream and deepest desire is to finish this film (please watch our teaser and visit our website) and send it to the film festival circuit so that we have a chance to get the doc seen by tons of people. We also want to do private viewings around the country, wherever you are. That is our goal and dream. This movie is being created BY Lyme Warriors FOR Lyme Warriors and their families and friends. The music is being composed by artists that suffer with Lyme, as is all the editing and production. This is OUR movie about what WE suffer with. It is about showing the world what Lyme is, unmasked, raw. Yet at the same time, it is unveiling what transformations this disease causes when the Warrior pushes through, doesn’t give up, seeks treatment and shares their story. We want your loved ones to understand you, to have an “aha” moment when watching the movie. But mostly, we want to give you hope, as we interview doctors and leading scientists about healing and living with Lyme. We also point the camera at ourselves showing the world what Lyme does to a relationship, to your body, mind and soul! 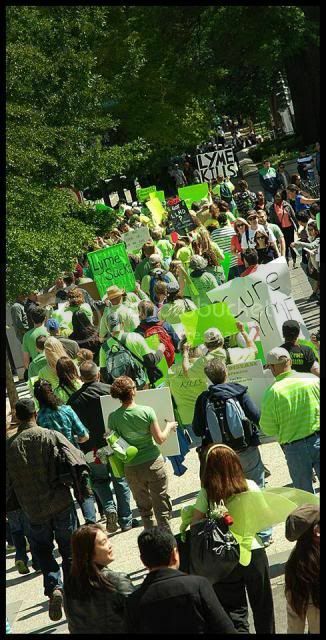 In this journey of 18 months now, we came across AMAZING people who shun light in our paths, helped us heal in more ways than one, and allowed us to see the purpose and beauty, dare we say it, of Lyme Disease. We want to share this with you…. in the art form of film. The vast majority of the movie has been filmed. We need the last leg to do a few more trips – including an interview with a leading scientist and Lyme specialiset at the University of Connecticut, and Dr. Horowitz, in NY. Once we are done with that, post production comes to play, where long hours will be spent on color grading, correction, the film soundtrack, mixing, etc. This is the bulk of our costs, although very tight. Please help by contributing and then asking a few people around you to do the same. Share the trailer, share the story. We appreciate it and love you guys!